Dance by the Beach Fitness Party La Union 2018 promises to be a go-to event this summer set on April 28, 2018 at Aureo Hotels & Resorts, San Fernando, La Union. De Guzman also highlighted that they want to provide beach lovers another activity that will surely keep them aligned with their fitness goals while enjoying the food and fun of summer. 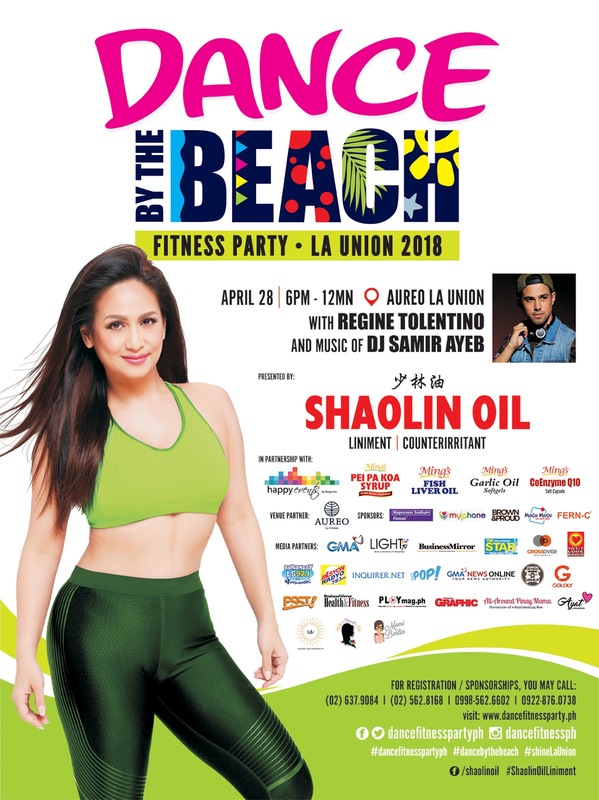 With over 1,000 Zumba lovers nationwide to participate on its one-day run, this country’s first dance by the beach fitness party event is gathering these enthusiasts from all walks of life to experience and dance with ZIN icon Dance Diva Regine Tolentino and ZIN leaders from La Union and nearby provinces. The experience is also highlighted by an exciting line-up of events such as music from international DJ and model Samir Ayeb, Olin (the mascot of Shaolin Oil liniment) meet-and-greet, special activities from our sponsors and many more which will start at 4PM. www.dancefitnessparty.ph or follow us on Faceboook (Dance Fitness Party Ph) Twitter (dancefitnesspartyph) and Instagram (dancefitnessph).